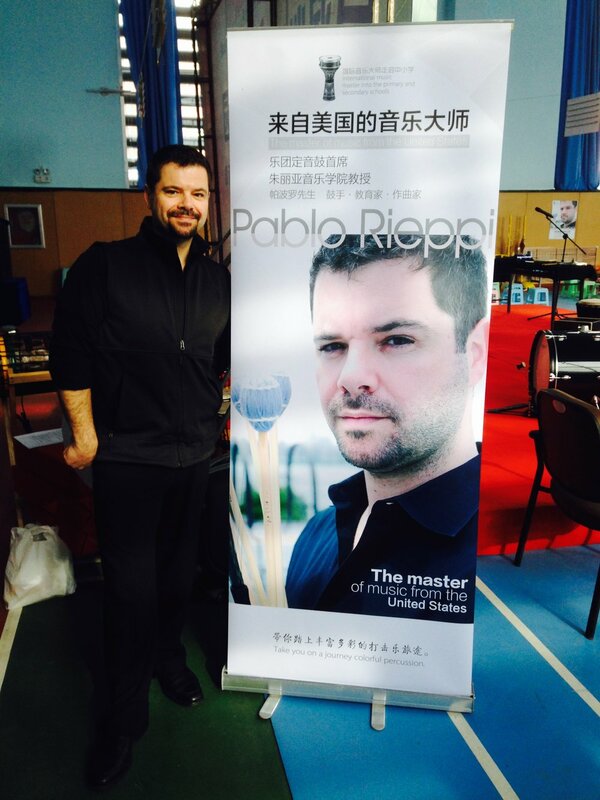 A week of masterclasses in China. I have refined my teaching philosophy and expertise, through years of experience as an instructor at The Juilliard School, Hofstra University, Columbia University, Purchase College Conservatory, and through master classes around the world. My teaching method starts with the larger structures of time, rhythm, listening and form, in an atmosphere that emphasizes the joy of music. Students play with greater confidence, and develop a stronger connection to the music learn. They participate in competitions and performances knowing they will succeed. I include a few of these lessons in my classes in the form of group rhythmic puzzles and individual student participation. Classes include technical and musical approaches to several instruments, ensemble and sectional playing, audition and competition preparation, recital preparation and hand drumming seminars. I enjoy working with all kinds of groups, from young students to professionals and educators looking to ??????? I thoroughly enjoy working with all students, wherever I go. Sampling of Previous Classes | Carnegie Hall "Making Music" Concert Series, Shanghai Conservatory Middle School, Shanghai (World Percussion Alliance), Quingdao (various schools), University of Southern California, Long Beach School System, Port Washington School System, Stonybrook University, New York University, PAS Days of Percussion, Music For All, Purchase College Days of Percussion, CalArts, Irvine Valley College, West Lake High School, Mira Costa High School, University of Miami Frost School of Music, Plainview Old-Bethpage Middle School, Fort Hamilton High School, University of Georgia, Yamaha Artists Summit.